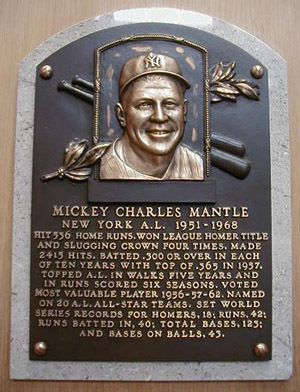 Mickey Charles Mantle was born on October 20, 1931 in Spavinaw, Oklahoma. Mickey’s father, Mutt, wanted his son to grow up to be a professional baseball player so he was named after Hall of Fame catcher for the Philadelphia Athletics, Mickey Cochrane. The family soon moved to Commerce, Oklahoma where Mutt worked in the Lead and Zinc mines. 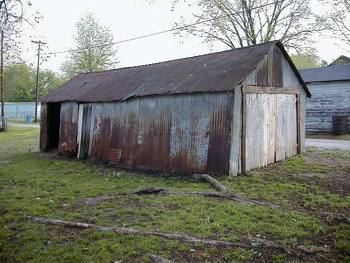 Every day when Mutt would come from from the mines, they would practice baseball next to an old tin barn. Mutt would pitch tennis balls (right handed) to Mickey while he batted lefty. Mickey’s grandfather, Charlie, would then pitch left handed to Mickey while he batted righty. By the age of five, Mickey was already showing promising signs as a baseball player and impressing the neighbors. 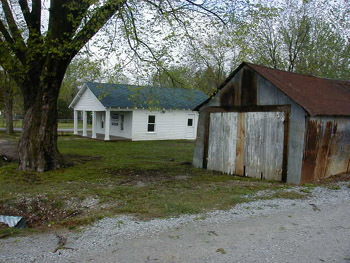 Mickey’s childhood home and the old tin barn still stand in Commerce, Oklahoma. Mickey was actually a catcher, like Mickey Cochrane, when he was 10 years old and playing in the Pee Wee League in Douthat. At the age of 15, Mickey played for the Baxter Springs Whiz Kids in a semi-pro league which was composed of players up to 21 years old. Mickey attended Commerce High School and excelled in baseball, football and basketball. During a football practice in 1946, Mickey was kicked in the shin. A bone infection, known as osteomyelitis, developed which almost resulted in the amputation of Mickey’s leg. A new wonder drug called Penicillin saved the day and Mickey was soon back in action but the medical condition would prove to nag him throughout his career. 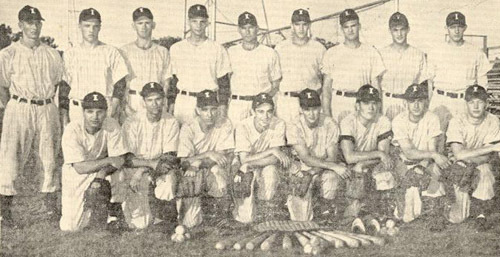 Yankee scout, Tom Greenwade, discovered Mickey while he was playing for the Baxter Springs Whiz Kids in 1948. On that particular day, Mickey hit two tape measure home runs (one from each side of the plate) that cleared the fence and rolled into the river which was 400+ from home plate. Greenwade returned to Commerce on Mickey’s graduation day and signed him to a professional contact with the New York Yankees for $140/month plus a $1,150 signing bonus. Mickey played shortstop for a Class D minor league team, the Independence Yankees, in 1949. Harry Craft was his manager. During the season, Mickey went into a hitting slump and became discouraged and called his father to tell him that he wanted to quit baseball. Mutt drove to Independence to meet with Mickey and convinced his son that playing baseball was a far better job than working in the mines. Fortunately, Mickey decided to give it another try and he did very well that season with a .313 batting average. 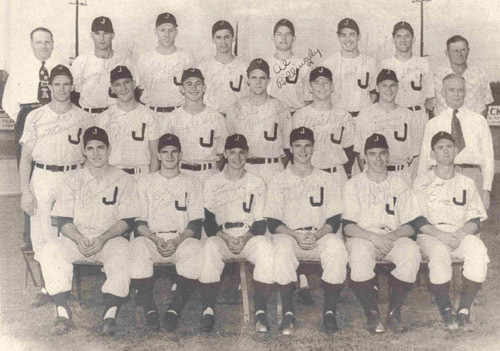 In 1950, Mickey advanced to a Class C minor league team, the Joplin Miners. Harry Craft moved up with Mickey to manage the team. Mickey earned $225 per month and won the Western Association batting title with an impressive .383 batting average. Mickey played shortstop again although he made a lot of errors. In 137 games, Mickey had 30 doubles, 12 triples, 26 home runs and 136 RBIs. Mickey’s uniform number was 12. Mickey was invited to the Yankees instructional camp in Phoenix, AZ in the spring of 1951. He impressed reporters, fans, team mates and opponents with his tremendous power, his blazing speed and his powerful throwing arm. Casey Stengel and the Yankees had planned to let Mickey play 1951 on a Class A minor league team but decided to give him a try in the majors after his phenomenal spring. Mickey was assigned uniform #6. Since Babe Ruth had been #3, Lou Gehrig had been #4 and Joe DiMaggio was #5, Mickey was assigned the next number of greatness which proved to be a great mental burden for the young Mick. Mickey’s first game in the Major Leagues was on April 17, 1951 in which he went 1 for 4 at the plate and played right field while Joe DiMaggio played center field. On July 15, Mickey was hitting .260 and had struck out 52 times in 246 at bats which was considered excessive by Yankees skipper Casey Stengel. Stengel sent Mickey down to the Triple-A Kansas City Blues to get his batting confidence back and to learn how to play center field. Once again Mickey became discouraged and called his father saying that he wasn’t cut out to play baseball in the big leagues. Once again, Mutt was able to convince his talented son to keep playing. By August 24, Mickey’s stats were quite impressive. In 40 games, he had collected 11 homers, 3 triples, 9 doubles, 50 RBIs and a batting average of .364. The Yankees realized that it was time to bring Mickey back to the majors. This time, Mickey was given uniform #7 which was to become his trademark. During the 1951 World Series vs. the New York Giants, Mickey badly injured his right knee while trying to catch a fly ball off the bat of Willie Mays. The injury would plague Mickey for the rest of his life and resulted in him needing to tightly wrap his leg from the hip to the ankle before every game. Mickey played in great pain for most of his career and endured numerous other injuries. Mickey impressed his team-mates and his opponents by his ability to play despite the pain and play at a level far above that of most other players. Despite his leg injury, Mickey was clocked at 3.1 seconds from home plate to first base which is a record that still stands today. On April 17, 1953, the term “tape measure home run” was coined due to a blast by Mickey at Griffith Stadium which ravelled a record 565 feet. During his eighteen year career, Mickey hit many other tape measure homers and became famous for his mammoth blasts. His 565′ blast still stands today as the longest measured home run in the history of baseball. 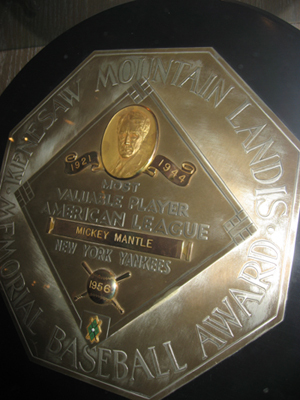 Mickey’s greatest year was in 1956 when he won the Triple Crown, Male Athlete of the Year award, the American League MVP award by a unanimous vote and the Player of the Year award. That year he led the major leagues with a .353 batting average, 52 home runs and 130 RBIs. Mickey was also a hero in the 1956 World Series game in which Don Larsen pitched his historic perfect game. Mickey homered in that game and also made a spectacular catch to help preserve Larsen’s great game. Mickey also won the MVP in 1957 and 1962 as well as a Gold Glove in 1962. Mickey played in 12 World Series during his 18 year career with the Yankees and he led them to seven World Championships. Mickey still holds the record for most World Series home runs with 18 as well as several other World Series records. He was inducted into the National Baseball Hall of Fame in 1974 along with his team mate and best friend Whitey Ford. Mickey lived in Dallas, TX with his wife Merlyn and sons Mickey Jr, David, Danny and Billy. He died on August 13, 1995 due to liver cancer at the age of 64. Today, he is still considered as the greatest switch hitter of all time. Thank you, for the information provided; I found it very useful while writing a paper on Mickey. As a kid growing up Mickey was(and still is) my favorite player. When I played Baseball,and Basketball, in High School I wore #7 on my jerseys. I used to watch the Yankees back in the glory days. I can remember Mickey,Roger Maris,Whitey Ford,Tom Tresh,Yogi Berra,and the list goes on. However after Mickey retired, I just lost all enthusiasm for the Yankees. Some people say that other players were better players than Mickey, but to me Mickey Mantle was the Greatest of all time. RIP # 7. I am age 62. Mickey was and is my idol and favorite baseball player of all time. No player was more dramatic than Mickey. There are two dramatic home runs that immediately come to mind. 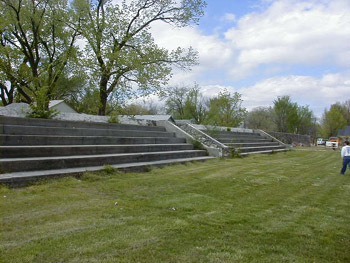 One was in the 1964 World Series against Barney Schultz, reliever for the St. Louis Cardinals in the bottom of the 9th. Mickey’s home run gave the Yanks a 2 to 1 victory. The other home run I recall came around August of 1962. I believe Mickey had missed a number of games with an injury and hit a home run in his very first at bat back as a pinch hitter. He probably was not fully recovered. Few people mention just how close he came to winning the batting crown in 1963 when he hit .323. I think he lost by only a point! With Mickey in the lineup we always knew the Yanks had a chance to win. And I believe he truly was a great team mate. Correction. Mickey was only 5 points away from winning the batting title in 1962, which was won by Pete Runnels. Born in 1952 and when I was 10 my Dad took me to my first Yankees game in the Bronx and the Great Mickey Mantle and company was on the field. Until I’m gone, to me, Mickey Mantle #7 will always be the greatest baseball player in baseball history. Mickey Mantle was my hero growing up and I am 67 years old. At 40 years old, I stood in line for two hours in the rain in Washington, DC to get him to sign his book. I cried when he died. A fan since 1950. In 1957 I went to Mueblebacg Hotel in KC.got his , Yogi & Joe Collins autograph on the hotel letterhead. I played basketball against his twin brother in 1953..I have a few cards ,baseballs in a plastic case that Mick signed. I never saw anyone like him. I keep waiting for it to happen again but at 67, I don’t think it will happen again. Definitely once in a lifetime, but my dad said the same thing. That’s two lifetimes right there. The violent acceleration when he sprinted; the sound of his bat on the ball. Ted Williams said he heard that sound only from Mickey’s bat and Jimmie Foxx before him. Authors refuse to believe his time down to first base or the fact that he hit a ball to a certain point. “Not possible.” “Sorry.” The one façade shot….”could not have been still rising”……they say. How then, do you explain a ricochet all the way back to the infield? A very proud Willie Mays reports, in Allen Barra’s book, Mickey and Willie, that two were faster than him……Vada Pinson was one, but Mickey was the fastest he ever saw. Another author says that Mays’ 1954 World Series catch…..”Mantle catches it easy.” The Perfect Game smash off Gil Hodges’ bat…..”Mays doesn’t get there. The only player that could have caught that ball and preserved Don Larsen’s perfect game, was Mickey Mantle.” I also remember a couple unbelievable throws. No. I’ve never seen anyone like him. Well….maybe Bobby Orr. He produced the same looks of disbelief. Attended the Mickey Mantle roundtable discussion on July 7, 2016 at the Oklahoma History Center. Without a doubt the best all around baseball player. Currently 63 YoA grew up in Claremore, Oklahoma – number 7 was always mine. Played football, basketball, baseball and ran track. 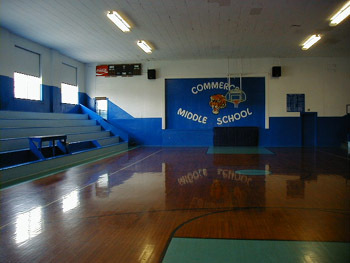 Most sports from grammar school to college (University of Oklahoma). Actually had the “Mick” sign a baseball for me. He signed his name Mickey Mantle. I asked him to personalize the ball with “To George” above his signature. He replied “you won’t be able to sell it (the ball) with that on it!”. “I will never sell it…” was my response. He seemed a bit baffled by my request, however, he was more than accommodating, as usual. Still have the ball and the memories. Very appreciative to everyone connect with this website. Mickey is my favorite player of all time. I am now 71 years old and I saw The Mick for his whole career. When my grandson get frustrated playing baseball I encourage him by telling him he is a very good player and I know good players because I saw the best to ever pay the the game, Mickey Mantle. very much and was very proud of him for making it into the big leagues. Sadly, his father died too soon. in 1995, that the famous former center fielder decided to surrender his life to the Lord Jesus Christ. change in his friend’s life. Today, this former Yankee standout is in Heaven with the Lord Jesus. Hooray !! Just a side note : Thanks for your terrific website that I discovered today. I was 5 years old, growing up in LA and vividly remember my Dad watching the Saturday baseball game of the week. He told me to come sit down with him and watch the game for a minute. Mickey was at bat. He said “this is the best baseball player in the game” and his favorite. A second later, Mickey doubled. I’ve never forgotten that moment and from that day on, Mickey Mantle was my hero. When the Angeles came into the league, Dad always took me to see the Yankees when they came to town. I have no greater memory than being with my Dad and seeing Mickey homer at Chavez Ravine. Years later, I recorded the NBC audio of Mickey’s pinch hit appearance in his last All Star game in 1968. Pee Wee Reese and Curt Gowdy were announcing. When he came up, Pee Wee announced- “And you hear the roar of the crowd, for none other than the great Mickey Mantle….pinch hitting here……And now, a standing ovation for one of the all time greats”. Yes the greatest and most powerful. So proud to know David & Danny Mantle. I had the chance to see Mickey’s game used items, Triple Crown, Jerseys etc.. They were featured at the Yankee Stadium museum. I am curious as to who owns these items and if they will ever be on display again for me to see it. i grew up in detroit, although a lifelong tiger fan, the mick has always been my biggest baseball hero, with the great al kaline second. it was a very sad day for me (and my brother) when mickey passed away. i still have the sports illustated issue when the mick passed away, with a picture of a young mick on the cover. I’ve always been a staunch Yankee fan, listening to Dad expound on the legendary Babe Ruth and Lou Gehrig. Great as they were, I never saw them play. I was eleven when Mickey made it to the major leagues as a Yankee. I was soon enthralled by the raw talent and tremendous potential of this young man from Oklahoma. I was very appreciative of the radio and television broadcasts of Yankee games, even in extreme northern Maine. Dad eventually added number 7 to his list of great Yankee players. I first saw Mantle play live at Fenway Park in 1961 when I was a student at Boston College.. The Mick led the Yanks to a lopsided win over the Red Sox, hitting a long home run and a stinging double, making unbelievable catches in center field, and running the bases with blinding speed. 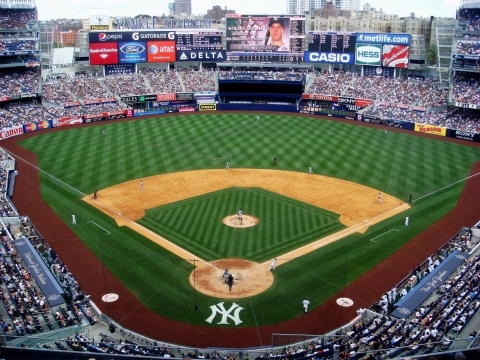 I worked in Connecticut every summer during my college career; this allowed me to go to Yankee Stadium as often as I could. I’ll never forget the tape measure home runs launched by Mantle to the thunderous applause of the home fans. Mickey, you live on in my mind and heart. 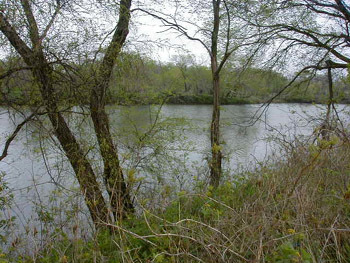 The river pictured above is Not called the Baxter Springs River it is the Spring River. My father grew up in Baxter Springs, Kansas and my grandfather worked with Mickey’s Dad Mutt Mantle in the mines in Pitcher, Oklahoma. From the age of 3, living in NYC, I discovered baseball. Instantly after watching with my older brother I became a Mickey Mantle fan. The greatest player I ever saw. I played ball, and was quite good, but could not pursue my dreams of being a professional player because of family obligations. My little sister, Vicky, watched with me and became and instant Mantle fan as well. We never went to the Bronx to see him play but watched every game we could that was televised on WPIX channel 11 with the exciting Phil Rizzuto ‘The Scooter’ announcing the play by play. That was great and made for a great deal of memories. My family moved to Florida in the mid 1970’s where my sister and I met Mickey Mantle in April 1979 in, of all places, Ocala, Florida along with Reggie Jackson. It was a great and cherished time and another memory for me to share with my sister and later on with my kids as I we took pictures and got autographs. It’s a great story for us. We were late and Mickey was heading out to leave the fast food restaurant where he made his appearance. I walked up to him and apologized for us being late since I had to help my sick father.Mickey stopped when he heard that and looked at me and my sister. He smiled at us and said, “Sure I have time.” We spent the next 30 minutes talking about baseball and family. It was great. Reggie Jackson called out to him to leave and Mickey said, “Hold on Reggie. I’m talking with my friends Denny and Vicky.” Little did we know about Mickey’s father and how much he loved his dad. We believe that’s why he stopped and took the time he did with us. It was great and I got to meet my childhood baseball hero. The guy whose number 7 was printed on our t-shirts as kids when we played any sport, especially, of course, baseball. My sister and I talked about that time so often over the years. We were so saddened at his death. Since that time I got married and moved on. My sister and parents moved back to NYC. Years later I visited my sister in a NYC hospital as she was suffering from cancer. I brought and placed a framed picture of her and Mickey Mantle I took during that time in Ocala, Florida and placed it on the table next to her hospital bed. She smiled and we talked about that time again. A few minutes later her Dr came into the room and saw the picture of her and Mickey and said “oh” before telling her the bad news. It was stage 4 Mantle cell leukemia of all things. She struggled but she survived. However, the chemo treatments damaged and weakened her immune system so badly. She struggled for over a year before she suffered major organ failure and died. Even on her deathbed we talked over and over about the time we met Mickey Mantle and talked with him like he was our best friend. This memory, along with so many other ones, was one that helped her cope with her pain and suffering. Thanks to Mickey Mantle for helping me go through one of the most difficult times in my life. And thanks, I know for sure, from my sister Vicky! Went to Shibe Park 1951 with my father and uncle mainly to see DiMaggio. A night game something very special since I was 10 and a Yankee fan. declared it a homer. I repeated this story many times and maybe they thought I was over the top. and actually smell the field. After my boys playing days were over I lost interest in baseball instead I relive the 50’s and 60’s. We had someone create this site for us. I believe that is uses the Twenty Fifteen theme. 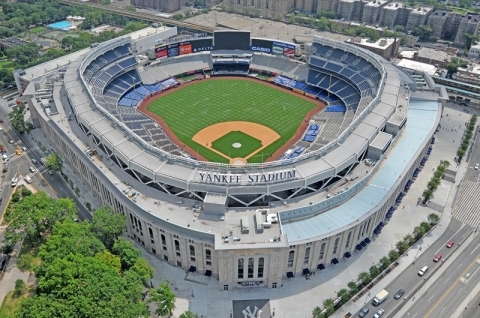 At 68 years old I still vividly remember my first Yankee game at Yankee Stadium. I sat on field level behind the Yankee dugout. Yankees were playing Detroit with Whitey Ford pitching. When my hero, Mickey Mantle, first stepped out of the dugout my eyes grew wide open. As a kid of 14 I was a dedicated Yankee fan, listened to every game on the radio and followed the standings in the daily news. Players have come and gone in the games of baseball, but none had the ability and style of Mickey Mantle. For me, “The Mick” endures forever. friend in his new found faith. When I was about ten, (summer of 66) Mickey Mantle and his son were playing golf and we were on a hole next to them. Mickey’ s son accidentally ran over my pull cart and The Mick bought me a brand new pull cart, the most expensive cart in the Pro Shop- no questions asked. Because of The witness of Bobby Richardson. I will get to thank him in front of our Saviour and Lord Jesus Christ.